Today I'm wearing Glam Polish - Bee-Do! Bee-Do! Bee-Do! 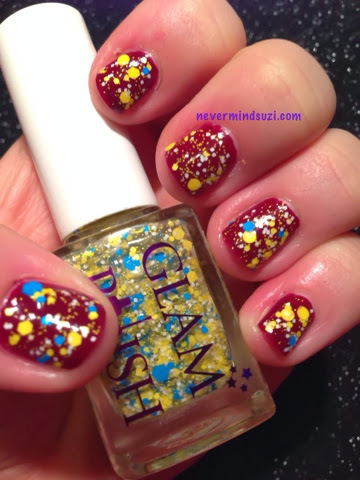 This polish makes me smile because it is Minion themed. A matte glitter topper with a mish-mash of glitters, squares, hexes and circles. In yellow white and blue, I love it!! 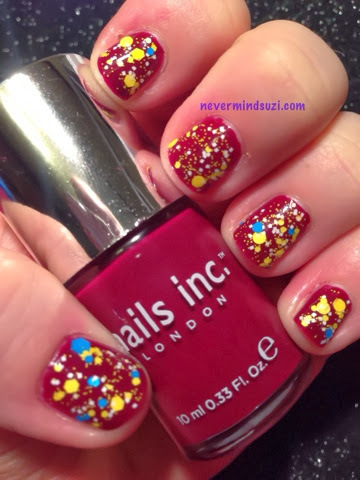 I've used Nails Inc - Kensington High Street as the undies. 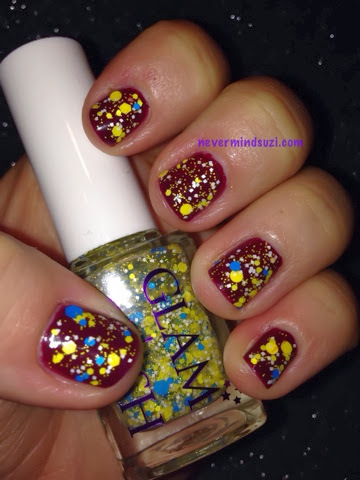 A berry red, I think this really helped the glitter pop. I do like this combo.